then there are the times that i forget to stock up on things. things like taco seasoning. 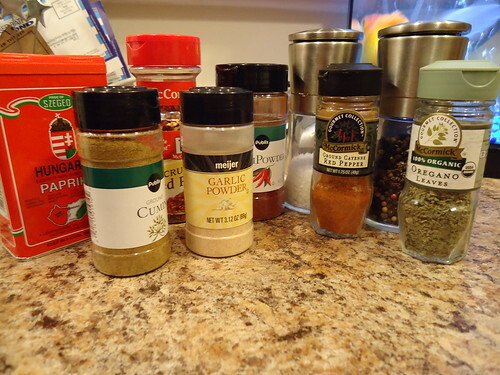 i’m here to tell you that it’s really simple to make because you’ll more than likely have all of this stuff in your seasoning cabinet. make a large batch and throw it in anything that you’d like to instantly give a smoky, spicy flavor. ground beef, shredded pork, chicken., etc. mix together all ingredients and store in an airtight container. par boil 1 lb. boneless, skinless chicken breasts. remove from stock, allow to cool slightly and then shred. leaving about 1-2 c stock in the pan, add shredded chicken and taco seasoning ingredients, amts as listed above. allow to simmer for 10-15 min. this keeps the chicken very moist and tender! 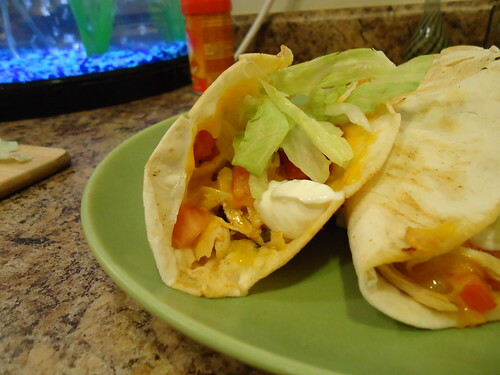 serve on tacos or nachos, including your favorite toppings. But, you are very inspiring and I am going to try this chicken. It sounds delish.